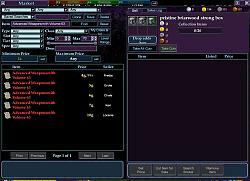 This mod adds a fully-functional coin display to the very top of the right pane of the Market Window. The coin display shows all coins and is capable of picking up coins from there by dragging (just like normal coin display in the Inventory window). 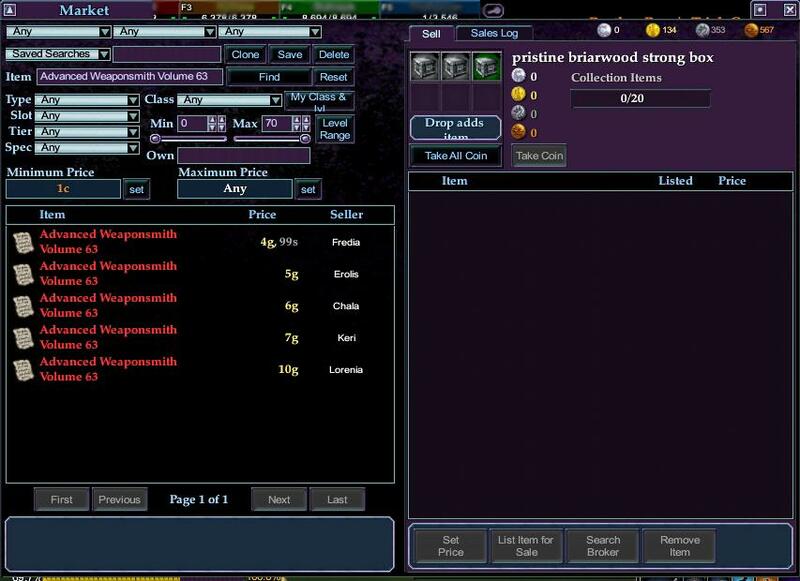 Just overwrite your old eq2ui_inventory_market.xml file with the one in the zip archive. Back up the old file by renaming it (such as adding .old to the end) before overwriting if you wish. Window based on Fetish Nightfall v6.5's market window. Only changes is to add the coin display. Not tested w/ any other version of Fetish Nightfall.